T-Quip is proud to be the preferred Hako dealer in Western Australia and have supplied many councils and contractors with the Hako brand including the versatile Citymaster 1250. The large dimensioned suction fan ensures the Citymaster 1250 can provide thorough cleanliness in pedestrian precincts, cycle and footpaths and town squares. 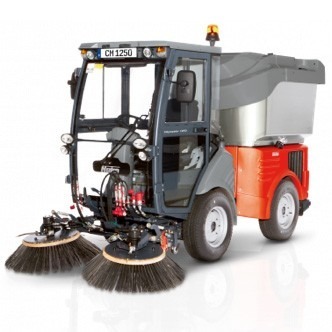 A particularly positive factor with regard to economic efficiency is the multipurpose version Citymaster 1250C with which the road sweeper can be converted for street sweeping to scrubbing unit, clearing snow, gritting and lawn mowin.